The Toniebox is the licensed product of the year 2018. 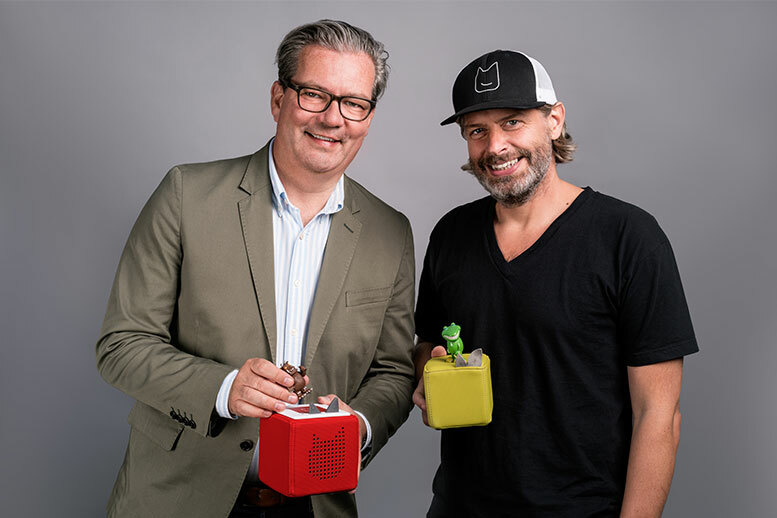 Luna Journal spoke with Patric Faßbender, who invented the Toniebox together with Marcus Stahl, about the licensing industry and the founding of Boxine GmbH. 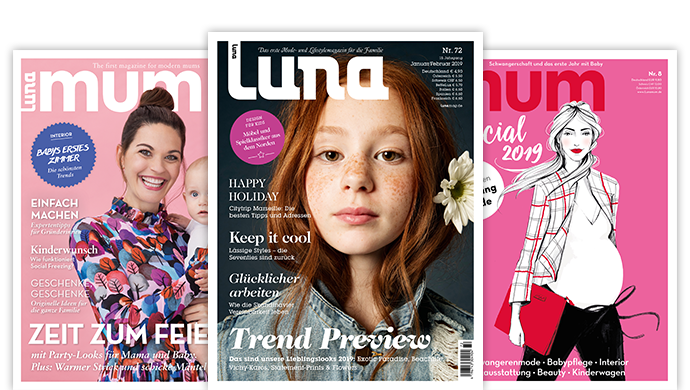 Following the Licensing Market in Munich, the LIMA (International Licensing Industry Merchandisers’ Association) awards were presented. The Toniebox from Boxine GmbH was awarded the Licensed Product of the Year 2018. The Toniebox is a digital, child-friendly audio player for children from the age of three. The aim is an interactive experience between listening and playing. The soft cube with a digital core can be operated intuitively. You place listening figures on it to start the radio play. 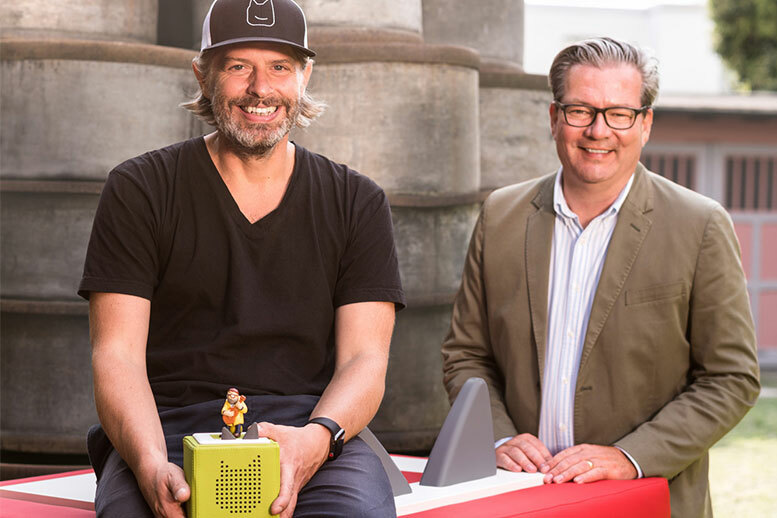 The box was launched in 2016 by the founders Patric Faßbender and Marcus Stahl and has sold 700,000 copies so far. It is available in Germany, Austria, Switzerland, the UK and Ireland. With the award for Licensed Product of the Year, you have received a coveted prize in the industry. The Toniebox is thus one of a series of products such as the famous Panini albums. What does this mean for you as a company? Patric Faßbender, founder of Boxine GmbH: A lot! On the one hand it is an honour to stand in a row with great other products. On the other hand, it also shows that the industry not only perceives our product, but also appreciates it. This is a great confirmation. You own licenses for well-known cult brands such as Benjamin Blümchen and Bibi Blocksberg. How do you explain the merchandising success of these products? Which is your most profitable figure? Our customers also want to hear their favourites on our Toniebox. It is not unusual for parents to decide what to put on the Toniebox. And they decide on topics that they may still know from their own childhood. This explains the success of “classics” like Benjamin Blümchen or our Janosch titles. In general, it can also be said that the classics are also the most successful tonies in the radio play segment. Business with licenses is booming in the toy industry. What criteria do you use to select your Tonie characters? In the beginning, we were driven by my children’s room and the firm conviction that our Tonies would also pick up their parents. Since we now have many more possibilities than we did when we started, we are of course also increasingly looking at market data and exchanging information with numerous licensors. The feedback from our customers, who contact us with numerous requests, is particularly important to us. What exciting licensing topics are planned for the new year? Especially exciting for us is the topic Playmobil with the radio play series Playmos. Here we not only have a great theme, but also a new product with the Tonie clip. This is connected with an original Playmobil figure and thus becomes a Tonie! In addition, we are expanding our portfolio with many other great license themes. A highlight in February is definitely firefighter Sam. You describe the digitalization as an enrichment – also in the children’s room. German parents are rather reluctant to oppose digital toys. Not so with the Toniebox. How do you explain this success? Of course, it must be used sensibly and not an end in itself. 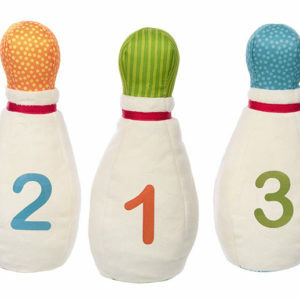 We solve a concrete problem in the children’s room and thus have a product that has relevance. It is digital in the solution. But the user shouldn’t even notice it, that’s not the point. Yes, it is partly digital, because the technology helps to develop a great user experience and many parents also see it that way. With licensed products and digitization, you are addressing two current topics in the toy industry. Were these decisive arguments for you to found a company? Not in the slightest! As already mentioned above, the aim was to solve a concrete problem in the children’s room – broken CDs and thus an insufficient user experience in the children’s room. The focus was on developing a solution suitable for children. You would also like to use the Tonie-Box in educational institutions. How would you like to put this into practice? Have you already gained experience in this area? In fact, we are intensively dealing with it. We have been gathering experience in various institutions for about twelve months now and are incorporating it into new solutions and concepts. What the concepts look like is not yet ready for decision, but it is clear that we want to offer child-friendly solutions in the context of educational institutions and do not simply want to sell a Toniebox and a few Tonies. The Toniebox was created out of necessity. You gave up your lucrative jobs for this idea. What is it about the founding idea? How would you describe the path from the idea to its implementation? That’s right, I did. Fortunately, I was in a professional phase that opened me very much to “new things”. From the very beginning I was so convinced of the concept of the Tonies that I literally rushed to bring the Tonies to life. Fortunately, with my co-founder Marcus Stahl, I found a companion who was equally convinced and threw himself into this adventure together with me. We both emphasize again and again that it is the most beautiful professional time of our lives. A great phase, which we consider a gift. Who can claim to have “created” something that makes many children out there happy! What do you advise other company founders who want to put their ideas into practice? Put the pedal to the metal and enjoy mastering challenges, because there are many of them. It also makes sense, in my opinion, not to take everything for granted and to get and exchange feedback again and again. Best of all with people who don’t speak for themselves.